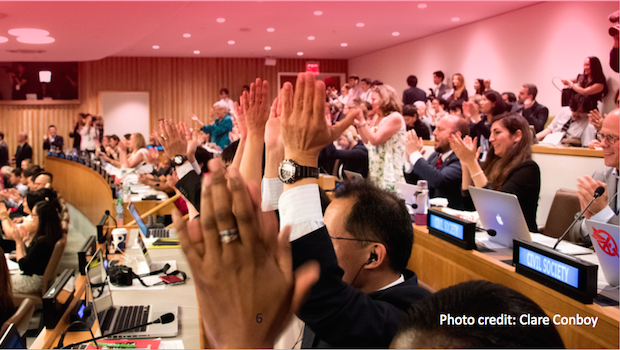 The Treaty on the Prohibition of Nuclear Weapons (TPNW) was adopted at the United Nations in New York in July 2017 by an overwhelming majority of states. As well as making nuclear weapons clearly illegal under international law for the first time, the TPNW provides a framework for the total elimination of all nuclear weapons. Now that the TPNW has been negotiated and adopted, the UK should take steps towards joining the Treaty in order to destroy the UK’s nuclear weapon stockpiles through this framework. This new leaflet from ICAN UK explains the key provisions of the treaty, how they would work for a nuclear-armed state such as the UK, and why and how the UK should engage with the treaty framework and join it. In banning the use and possession of nuclear weapons, the TPNW is similar to other treaties dealing with weapons of mass destruction – the 1972 Biological Weapons Convention and the 1993 Chemical Weapons Convention. The UK has joined both these treaties. However, the UK government’s attitude to the TPNW so far has been to collaborate with the United States, Russia and a handful of others in opposing and boycotting it. This treaty provides the first real opportunity in decades to advance the global elimination of nuclear weapons – an objective that the UK and most other nations are already committed. As recent events between the US and North Korea are reminding us, the dangers posed by nuclear weapons are still very real, and we cannot be complacent about letting any of the nine remaining nuclear armed states produce, possess or deploy such weapons, let alone use them. There are no safe hands for these weapons of mass destruction, which have catastrophic humanitarian consequences.